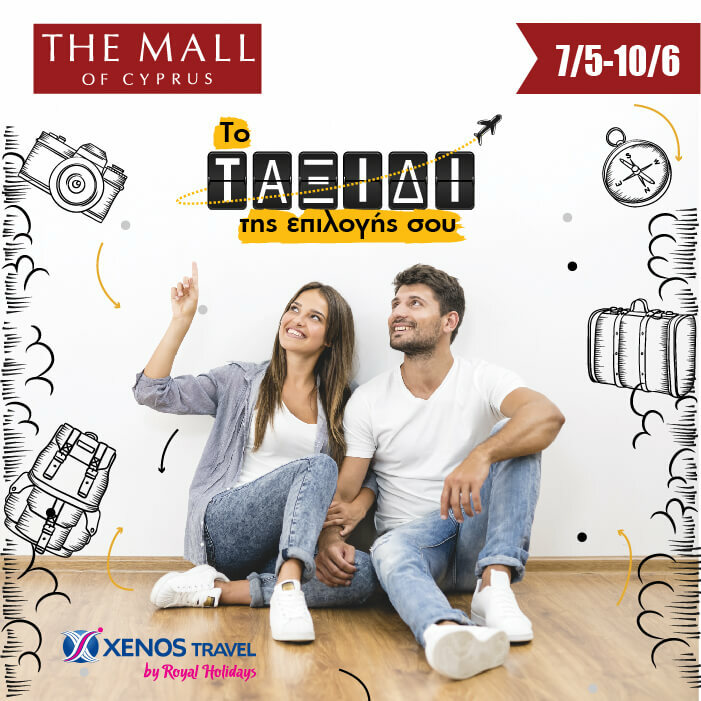 The Journey of Your Choice by The Mall of Cyprus & Xenos Travel! Summer escape to the Greek islands? Autumn weekend in Athens? Or Christmas break in beautiful Vienna? With the new competition by The Mall of Cyprus and Xenos Travel by Royal Holidays, you can take a trip of your choice! Spend €20 anywhere at The Mall of Cyprus and enter the draw! Ten winners, two per week, will receive a €500 voucher each, and one lucky winner will get a €1.500 voucher at the end of the competition! The vouchers can be redeemed for any travel service offered by Xenos Travel! Valid from 7 May to 10 June.